Searching the Registry for data at centres other than the user’s own centre is only possible by the project management team. Depending on the amount of work involved data searches will incur a small fee and researchers are advised to get in touch for further information. Prospective investigators should contact the office before embarking on, developing, or seeking funding for the study so that the costs of this proposed work can be clarified. Please complete a Data Search Form and a Data Sharing Agreement. Use the I-DSD/I-CAH_data fields to identify fields required for your study. Once submitted all study documents are sent to the Scientific Panel for approval. 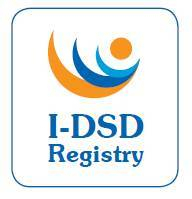 The I-DSD/CAH Registry must be acknowledged on all publications that use the data with the following text.